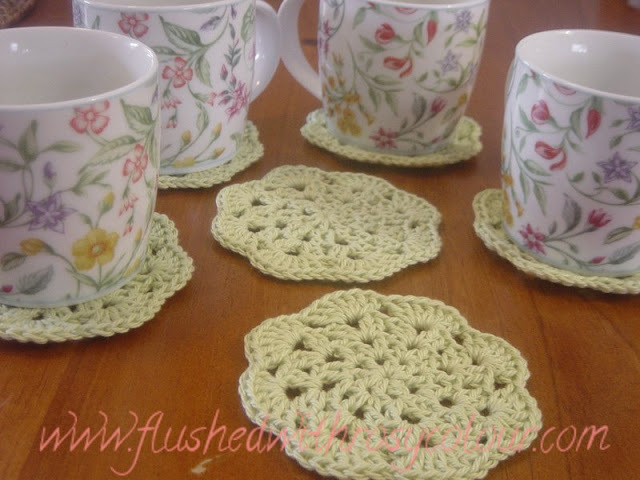 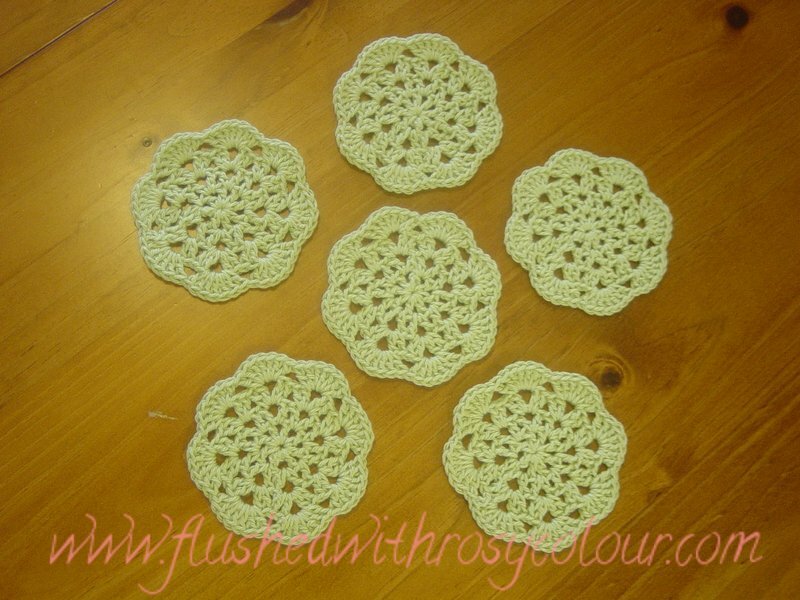 I made this set of 6 doily coasters in green and decided they should b e called Summer Lime Coasters! 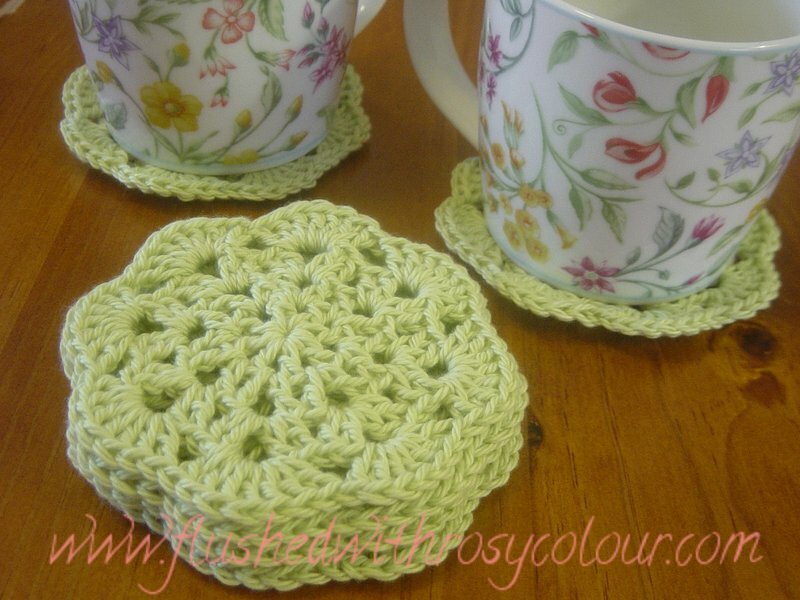 I think they're nice enough to have for sale in my shop, and if no one buys them, I think I shall use them myself! These were made following my four round doily pattern, except the last round has scallops of 7 dc instead of 8, and the start is a loop of 4 ch. 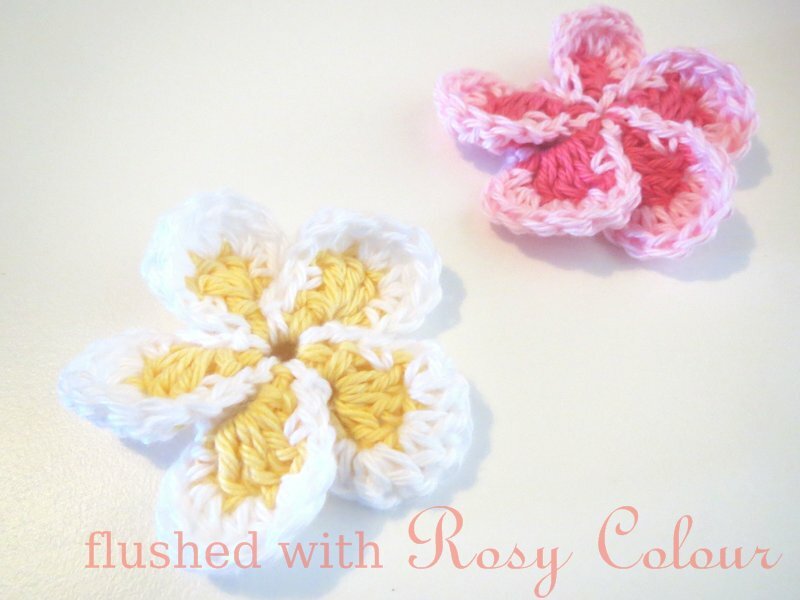 I used a 3.5mm hook, and 8 ply Australian made cotton from Bendigo Woollen Mill.